It is far from obvious which of the current possible top contenders would be more palatable to President Vladimir Putin, but observers in Kiev and Moscow have taken some educated guesses. Confectionary tycoon and independent member of parliament Petro Poroshenko currently leads the presidential race with 21 percent of voters supporting him, according to a poll completed on Tuesday by Ukrainian pollster Sotsis. Worth an estimated $1.3 billion, Poroshenko threw his weight behind closer ties with the European Union and strongly backed the protests that forced former President Viktor Yanukovych to flee his capital on Feb. 22. He took up the title of minister of trade and economic development in the current Cabinet. Like all top political leaders in Ukraine, he stands firmly against a partitioning of the country — a threat that apparently materialized with the vote of the Crimean parliament on Thursday to accede to Russia — but Poroshenko may hold an additional grudge. Russia effectively banned his Roshen chocolates from its market last year, citing safety concerns, in what was widely believed to be a campaign to highlight the dependence of Ukrainian businesses on exports to Russia and bully the country out of signing an association agreement with the EU. "Poroshenko would be the biggest challenge [to Russia]," said Vitaly Bala, chief of the Agency for Situation Modeling, a political consultancy in Kiev. "He is a stalwart proponent of association with Europe, and he had those business problems." 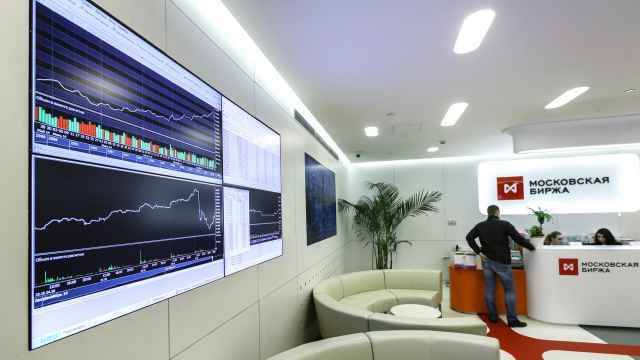 The popular uprising in Kiev began after Yanukovych abruptly backed out of a planned association deal with the EU, which would have opened the way for more bilateral trade. Moscow warned that it would have harmed the Ukraine's ties with Russia. Yury Yakimenko, an analyst at the Razumkov Center, a Kiev think tank, said Moscow's heavy-handed posture would leave a bad aftertaste with any Ukrainian president, but Poroshenko, as a foreign minister in one of the country's previous Cabinets, has the skills to overcome rifts. 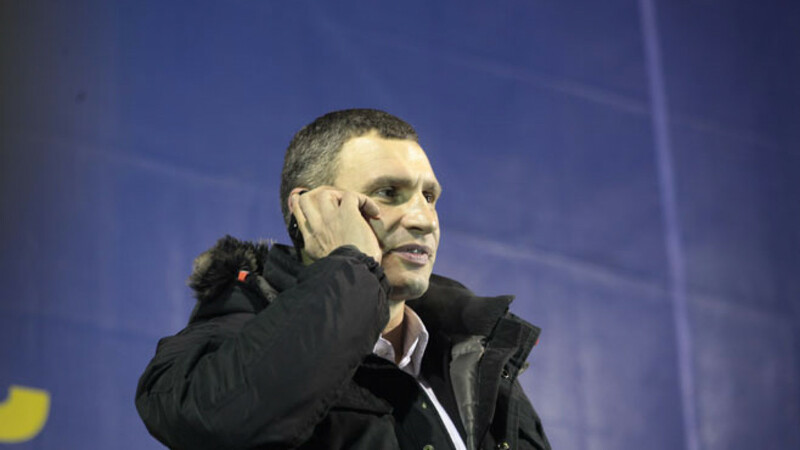 Ranking second in the Sotsis poll is former boxing champion Vitaly Klitschko, another hero of the massive anti-government protests, who leads the Ukrainian Democratic Alliance for Reform party and is a member of the parliament. He could muster 15 percent of the vote, Sotsis found. As a relative novice in politics, Klitschko will be able to build personal relations with Putin from a clean slate, Bala said. But Dmitry Orlov, a Moscow-based political analyst close to the Kremlin, said Putin was likely to react badly to Klitschko. The former boxer made a number of distinctly anti-Russian statements during the standoff between the crowd and the government on Kiev's Independence Square, Orlov said. He did not elaborate. Next in the poll, with 10 percent of the vote, was Yulia Tymoshenko, the chairwoman of the Fatherland Party, who was released from jail by parliament following Yanukovych's flight to Russia. In the 2010 presidential elections, Tymoshenko narrowly lost in a runoff to Yanukovych, and soon found herself convicted of fraud for her part in concluding a gas-trade deal with Russia when she was prime minister under former President Victor Yushchenko. Moscow expressed displeasure over her incarceration at the time, and Putin described her earlier this week as being a reasonable partner. On Tuesday, during his first news conference after winning parliamentary permission to invade Ukraine, Putin recalled that as Ukraine's prime minister, Tymoshenko agreed to several deals with Russia, although she was argumentative. "On the whole, it was constructive work," Putin said. But precisely because of these compromises, Tymoshenko might be pressed at home, if elected as president, to adopt a more hardline approach to prove that she has more of a backbone now, Bala said. Gleb Pavlovsky, an independent political analyst in Moscow, said Tymoshenko was "more understandable" for Putin. Putin expressed willingness at the same news conference to work with anyone who is not a "downright criminal." No. 4 in the poll was Serhiy Tihipko, member of parliament representing runaway President Viktor Yanukovych's Party of Regions. 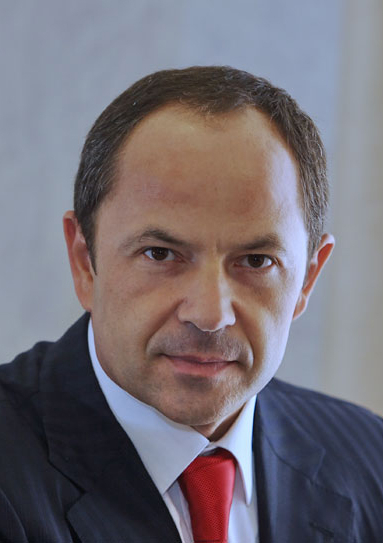 Tihipko, who is also a businessman worth $1 billion, could garner 7 percent of the vote, the poll found. He made his first money in banking, and later invested in various businesses ranging from real estate to machinery. 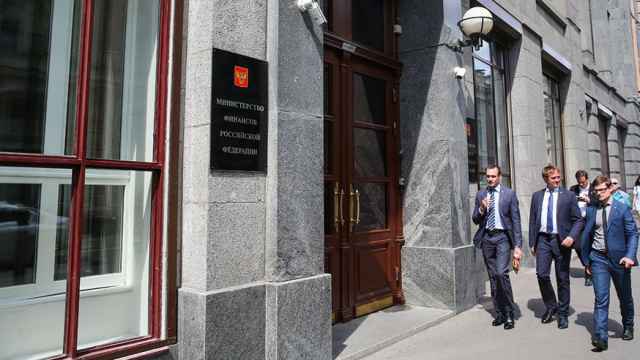 Despite coming from a party that used to be largely pro-Russian, Tihipko would likely refuse to swallow the secession of the Crimean peninsula, said Volodymyr Fesenko, director of Kiev-based political studies center Penta. Fesenko predicted that the worsening of the situation in the Crimea, where troops without any insignia but thought to be Russian are in absolute control, could lead to the suspension of any high-level contacts between Kiev and Moscow for years. "The wound would run too deep," he said. 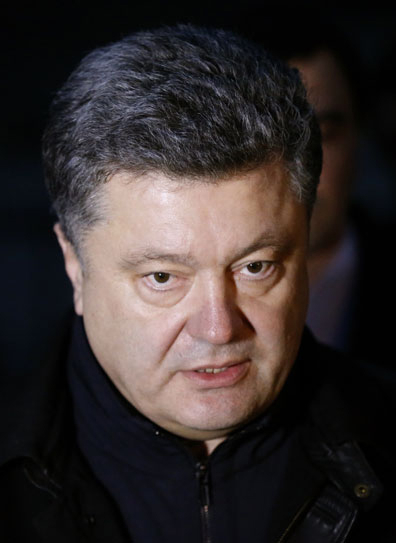 No one has yet publicly announced ambitions to run for president in Ukraine. The position will also be significantly less powerful than during Yanukovych's tenure — the parliamentarians reinstated a previous version of the Constitution that empowers the prime minister and the parliament following the toppling of the Yanukovych government. Yakimenko said he expected the presidential elections to have two rounds, as no candidate will be able to gain an absolute majority in the first vote. 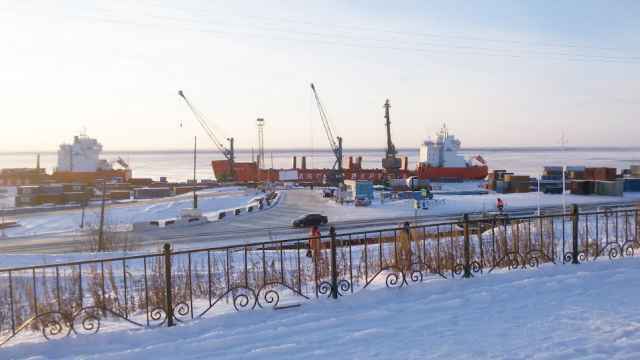 The Sotsis agency polled about 2,000 people from Feb. 25 to March 4. 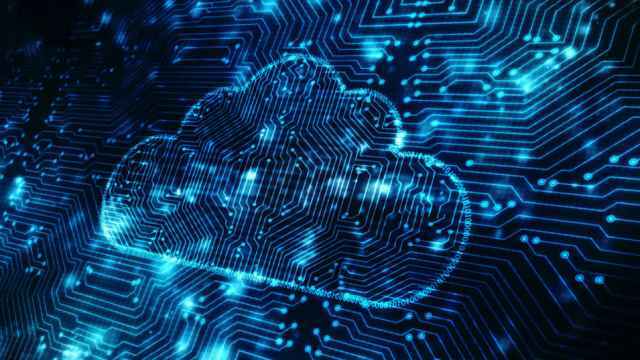 The survey has a margin of error of 2.2 percent. Known as both the gas and Orange Revolution "princess" Yulia Tymoshenko was born Nov. 27, 1960, to a poor family in Dnipropetrovsk. She is married, has one child and holds a PhD in economics from the Kiev National University of Economics. From 1995 to 1997 she was president of Ukrainian United Energy Systems, or USEU, the main Ukrainian importer of Russian gas at the time. Tymoshenko became wealthy from her work in the energy sector. In 2004 she paired with Viktor Yushchenko's on his pro-reform presidential bid, but was defeated by the pro-Russia candidate, Viktor Yanukovych, in elections reportedly rife with irregularities. She subsequently helped lead the Orange Revolution, a protest movement that toppled Yanukovych's government. From 2007 to 2010 she served as prime minister but her detractors accused her of spending too much time on political infighting rather than focusing on the steadily worsening economy. In 2010 she campaigned on a pro-EU platform and narrowly lost the presidential election to Viktor Yanukovych. In 2011 she was given a seven-year sentence for exceeding her authority in a gas deal with Russia, an accusation she said was politically motivated. She was released by parliamentary vote on Feb. 22. Petro Poroshenko, known as the "Chocolate King" for his success in the confectionery business, is estimated to be worth $1.3 billion and has been an active supporter of the ongoing Ukrainian protest movement. Poroshenko was born Sept. 26, 1965, in Bolhrad in the Odessa region but currently makes his home in the capital Kiev with his wife and four children. He graduated from Kiev State University in 1989 with a degree in economics, and founded the confectionery Roshen in 1995. Porshenko served as foreign minister under Tymoshenko and headed Ukraine's national bank from 2007 to 2012. He is currently trade minister in the Ukraine government, and since 2012 has been an independent member of parliament. Poroshenko, a diabetic, has said that he prefers to eat a little bit of chocolate instead of diabetic-safe alternatives — a stance he said "relates to everything — it is better to both eat and act genuinely and properly." Known by his alias "Dr. Ironfist" for his PhD and whopping 41 professional boxing victories by knockout, the three time world heavyweight boxing champion is the chairman and founder of the Ukrainian Democratic Alliance for Reform, known by its acronym UDAR, or "Punch" in Ukrainian. Klitschko was born July 19, 1971, in Belovodsk, Kyrgyzstan to a Soviet air force pilot, but settled in Kiev as a teenager. He graduated from the Kiev University of Physical Science and Sports with a PhD in sports science, making him the only world champion boxer with a doctorate. Klitschko is married with three children and has a brother, Wladimir, who is also a professional boxer. In 2004 he became involved in the Orange Revolution, a popular protest against the allegedly fraudulent presidential election of pro-Russia candidate Viktor Yanukovych. 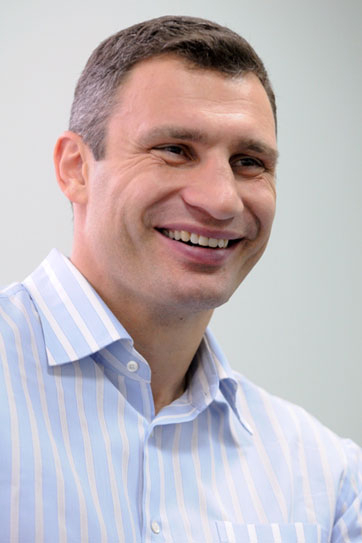 In 2006 Klitschko placed second in the Kiev mayoral race. In 2010 he founded UDAR and in 2012 he became a member of parliament representing UDAR. Regarding cooperation between Ukraine's diverse opposition parties he said, "In order to land a punch, you need to bring your fingers together into a fist. We need to join all our forces together. That is the only way we can win." Serhiy Tihipko was born on Feb. 13, 1960, in the Moldovan village of Draganesti. He graduated from Dnipropetrovsk Metallurgical Institute in 1982 as an engineer-metallurgist. He lives in Kiev with his wife and four children. Tihipko served in the Soviet army and as Communist Party official during the 1980s before becoming involved in banking after the Soviet Union's collapse. He was one of the founders of PrivatBank and is estimated to be worth $1 billion, thanks to his activities in banking and agriculture. From 1997 to 1999 Tihipko served as deputy prime minister for economic affairs and has held numerous political and advisory positions, including a stint as campaign manager for Viktor Yanukovych's 2004 presidential bid. In 2010 he took third place in presidential elections won by Yanukovych, later serving as his deputy prime minister. In 2012 he became the deputy chairman of Yanukovych's Party of Regions. In a 2000 interview with Ukrainian newspaper "Den," he said: "There are no saints on the Olympus of politics and business."